Nowadays, group or team concept is adopted by the organization, to accomplish various client projects. When two or more individuals are classed together either by the organization or out of social needs, it is known as a group. On the other hand, a team is the collection of people, who are linked together to achieve a common objective. Most of the work in a business entity is performed in groups. Although the individual personality of an employee is important, their effectiveness depends on the teams in which they are working collectively to achieve any objective. In a particular team, there can be several groups in which the group members individually help their leader to accomplish the goals. Below you can see the difference between group and team in an organization, explained in tabular form. Meaning A collection of individuals who work together in completing a task. A group of persons having collective identity joined together, to accomplish a goal. Process Discuss, Decide and Delegate. Discuss, Decide and Do. Focus on Accomplishing individual goals. Accomplishing team goals. A group is an assemblage of persons who work, interact and cooperate with one another in achieving a common goal in a specified time. The identity of the group members is taken individually. The members share information and resources with other group members. Formal Group: These groups are created by the management of the organisation for performing a specific task. Informal Group: The formation of these groups is done naturally in an organisation, to satisfy the social or psychological human needs. For example: Ethnic groups, trade unions, friendship circles, airline flight crew, etc. A group of people who are joined for achieving a common goal within a stipulated period, having collective accountability is known as the team. The agenda of the team is “one for all and all for one”. Apart from sharing information, the team members also share the responsibility of the team task. The team is always responsible for the outcome (i.e. Result of the collective efforts of the team members). For example: Cricket team, team for accomplishing a project, team of doctors, management team etc. There is only one head in a group. A team can have more than one head. The group members do not share responsibility, but team members share the responsibility. The group focuses on achieving the individual goals. Conversely, the team members focus on achieving the team goals. The group produces individual work products. As opposed to, the team who produces collective work products. The process of a group is to discuss the problem, then decide and finally delegate the tasks to individual members. On the other hand, a team discusses the problem, then decide the way of solving it and finally do it collectively. The group members are independent. Unlike a group, the team members are interdependent. Two or more than two persons. Focus on the achievement of an objective. A team is qualitatively different from a group. A team plays a very vital role in the life of the members. The team members as it motivates the members for working creatively and actively participating in the team tasks. 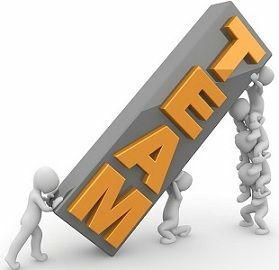 Moreover, a team stimulates the members to work for/with one another in an achieving an objective. The Group is also not less; the group also helps the members in developing a sense of conformity between the members and respect the group values. It increases their resistance to change. Above all, the power of a group is always more than an individual.